LAMP is a combined software bundle of Linux Operating System, Apache Web server, MariaDB database and the PHP coding language which are the necessary components to get a Web server up and running. LAMP stack is widely used in the world by Linux professionals, geeks, developers and webhosting companies. Let’s deploy & test each component of LAMP stack one by one. 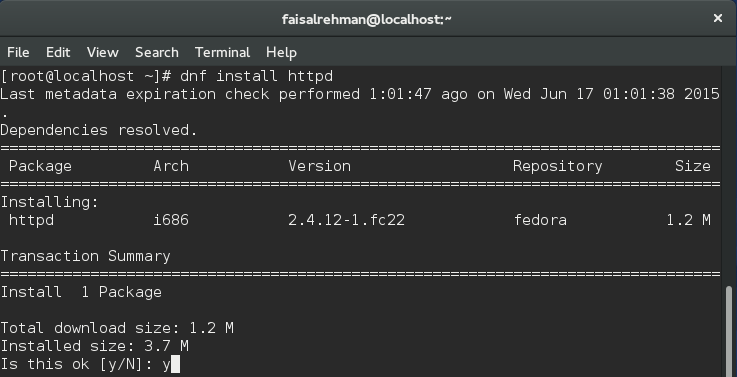 A Linux operating system is the core component of LAMP; I have installed Fedora 22 on my virtual box to install and test LAMP. You can get Fedora 22 installed on your Virtualbox with our easy installation guide. 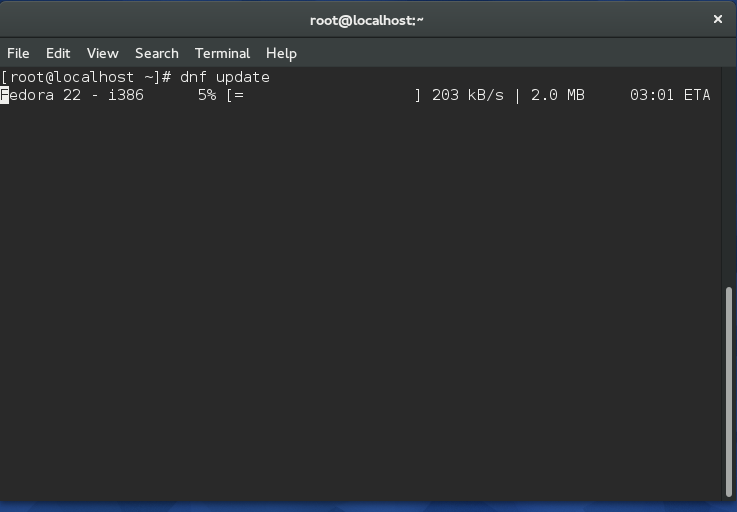 After completing the installation, update the system with the help of below command. 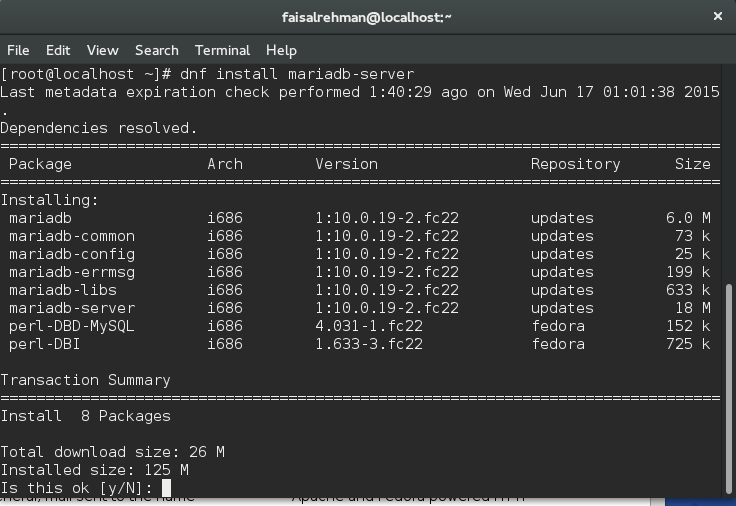 Since YUM has been updated to DNF which stands for Dandified YUM, so we will use dnf where we have been using yum in our earlier Fedora versions. Apache is open source, freely available and one of the most popular web servers runs mostly on UNIX based systems. It runs on port 80 with HTTPD daemon and coded in C.
Start the daemon to get the web server up and running. 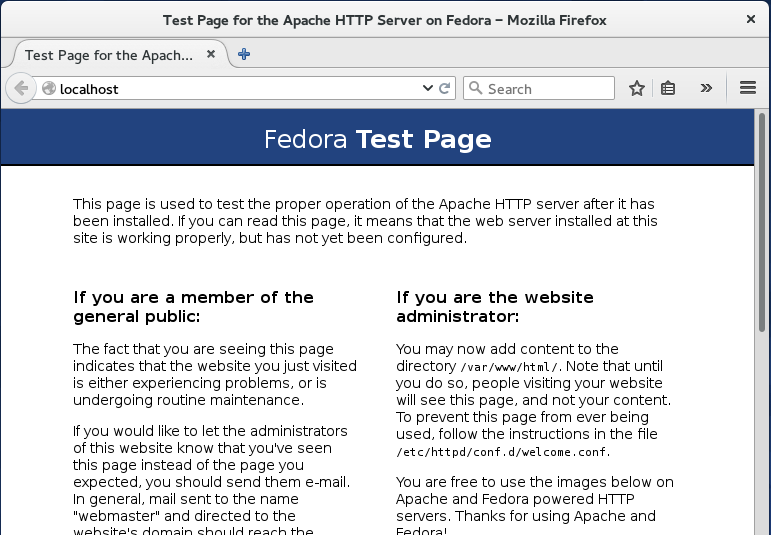 We can verify the status of the web server via browsing the page, write the IP address of your system or hostname. Star the service, enable it to start on boot as well. It is highly recommended to secure the database from un-authorized access and set a strong password for root user, just execute the below query and it will be set. For more options, please run mysql_secure_installation command. 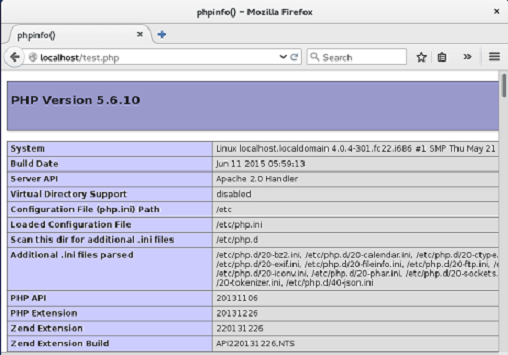 Load your system’s IP address or hostname in web browser, you must see the following page if PHP has been installed correctly. Our LAMP stack is complete and fully functional, we can deploy our projects, host websites and build databases. In my opinion, a server is incomplete without LAMP and widely used in every online business. 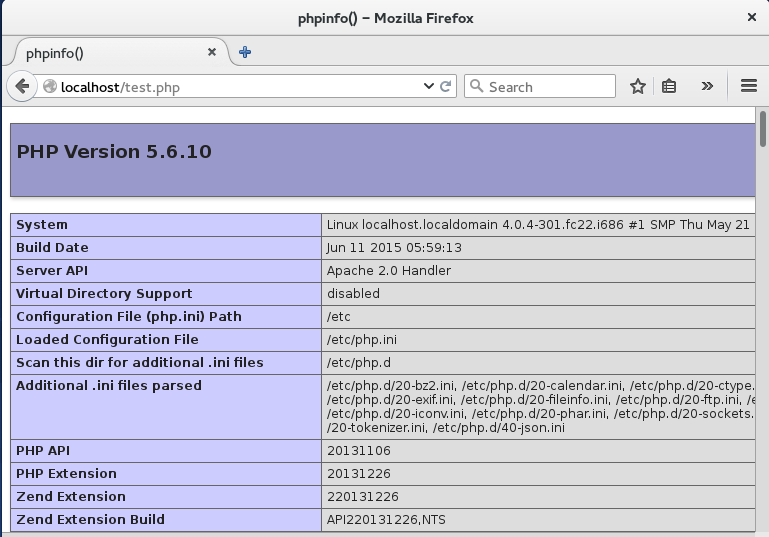 You should backup your php configuration files first before attempting upgrade. Successful upgrade shouldn’t overwrite your settings.